The Dark Knight, quite possibly the best comic book movie ever made, is turning 10-years-old. To celebrate the occasion, a theater chain on the East Coast is holding special screenings of the movie. Batman is probably the most popular superhero on the planet and that's why he's been the subject of many big and small screen adaptations, long before the MCU and long before comic book movies were ruling Hollywood. But The Dark Knight not only helped elevate comic book movies, it transcends the genre and is genuinely considered to be a great movie. One that just so happens to have Batman in it. That's worth celebrating 10 years later. 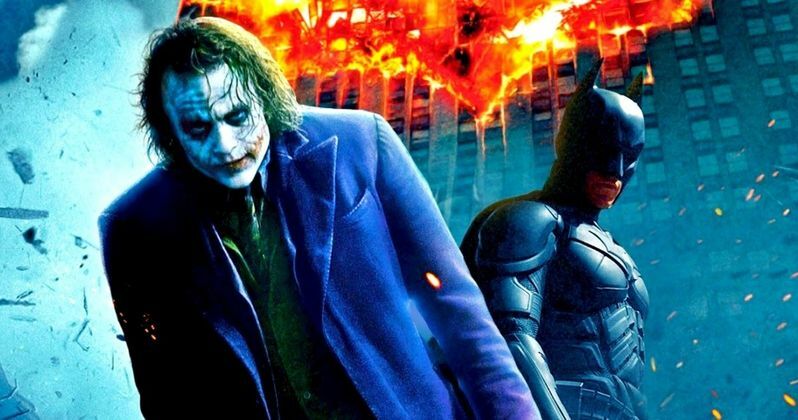 A theater chain on the East Coast called Showcase Cinemas is getting in on the celebration next month by offering 10th anniversary screenings of The Dark Knight. The theater chain has locations in New York, New Jersey, Massachusetts, Rhode Island and Connecticut. There are fans of The Dark Knight all over the world, so that's a bit limiting in some ways, but those who do live in that area of the country have the chance to relive this movie in theaters on either Thursday, February 8, or Sunday, February 11. They're actually jumping the gun a little bit. The Dark Knight was initially released on July 18, 2008. So this will be about four months prior to the actual 10th anniversary. Though, July is right in the heart of the summer movie season and it may be a little difficult for some theater chains to accommodate something like this when all of the new releases are coming out. So this actually makes sense. It's also likely that many other theater chains will be doing similar screenings as we get closer to the actual anniversary. Christopher Nolan reinvented Batman on screen with Batman Begins, which is still considered to be one of the best origin stories ever put to screen. But he topped himself in a big way with The Dark Knight. Much of that having to do with Heath Ledger's transformative and iconic performance as The Joker. A performance that won him on Oscar after her tragically passed away. The Dark Knight earned over $1 billion at the box office, quite some time before that became as popular of a thing to do as it is these days. The movie is also almost universally beloved, holding a 94 percent rating from both critics and audiences on Rotten Tomatoes. We actually haven't had a solo Batman movie since The Dark Knight Rises in 2012, despite a few Ben Affleck performances in the DCEU in team-up movies. And it's still pretty unclear as to when The Batman is going to begin production. So getting to see The Dark Knight in theaters again is actually going to be a very timely treat for DC fans. If you live on the East Coast and want to check out one of these 10th-anniversary screenings for yourself, you can get tickets from Showcase Cinemas.